Last week we saw students from across the Bay battle it out for the title of BOP Table Tennis Teams Champions. Schools attended as far as Whakatane and Rotorua in a sport that is growing each year here in Tauranga. The Junior grade had the most students competing, with a massive 14 teams entered into the event. It is exciting to see more players getting involved at a younger age. Otumoetai College took out the highly competitive Junior championship, while Tauranga Boys College and Papamoa College Girls secured the Senior Open Boys and Girls draws respectively. Overall, a fantastic day with a lot of forehand and backhand smashes and some very skilled shots. 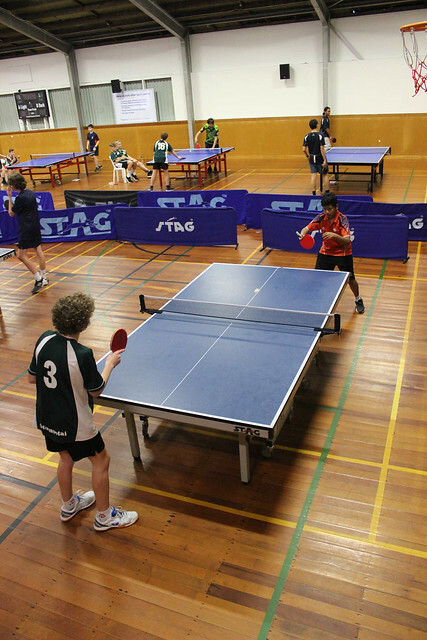 Thank you to Table Tennis Tauranga Club's Paul Henderson without your support of young students playing sport and John Lea Table tennis NZ.